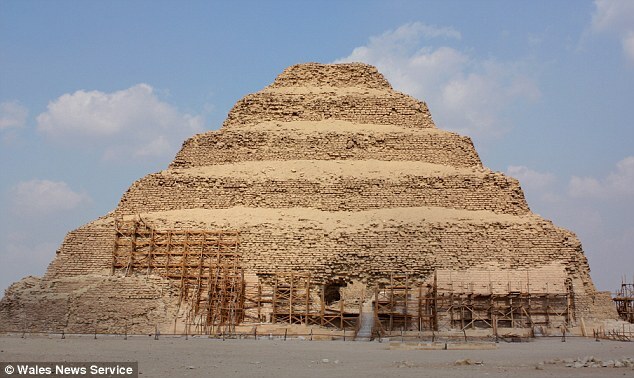 The 4,700-year-old pyramid for Pharoah Djoser which is undergoing restoration work is a step pyramid. Originally it would have been covered by layers of limestone. As one of the earliest ones created by the Egyptians, it was made from compacted mud brick layers with smaller layers built on top of each other. The square Djoser Pyramid is around 60 metres tall and has six steps. Later came the bent pyramids which were built in much the same way but had their sides covered with smooth rock to give them angled rules. However, they did not go up at precisely the same angle all the way. Finally came the true pyramids with the smooth walls rising at the same angle all the way to the top. They had their steps filled in with masonry. The historic pyramid was feared to be so unstable that no-one has taken on the challenge of securing it in the last 19 years. Peter James, a former Royal Navy lieutenant-commander who served in the Falklands War, has won a £1.8million contract to carry out the repairs. His company Cintec adapted the airbags used by the British army to support the buidling. The water filled bags work by surrounding an explosive with a bag which cushions the blast. 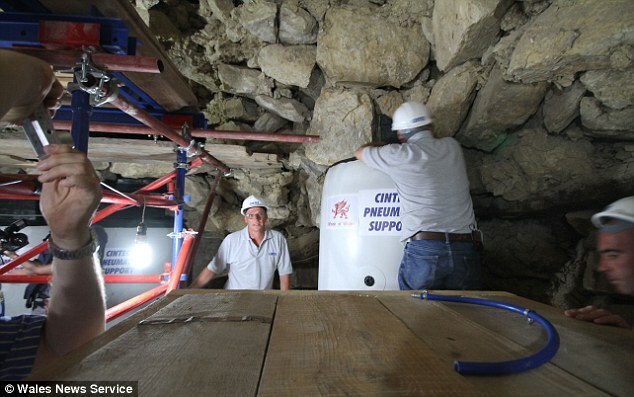 But for the pyramid Mr James adapted his technology by substituting compressed air for water. The specialist structural engineers have previously worked on Buckingham Palace, Iron Bridge Gorge and The White House. Mr James said:'It was very unstable when we got in there. 'The earthquake in 1992 had shifted everything sideways and it was a massive task trying to hold everything up without dislodging anything further. 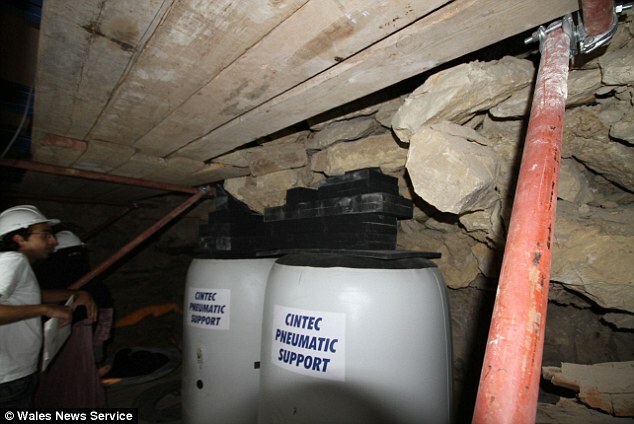 He said: 'We had planned to use our water system but as soon as we got a good look at the chamber it was clear that inflating the bags with water wasn't going to work. The team will now thread thermo-dynamic steel rods diagonally through the steps of the pyramid to stabilise the roof.